The challenge of building ‘sufficient, cost effective, great schools at pace’ was set by the Education Funding Agency (EFA) and the James Review in 2010 to address the limited availability for government investment in the ageing school estates across the UK. However, from the beginning people questioned if achieving this without compromising design and construction quality was at odds with providing the tailored approach to education the UK aspires to. I don’t think this has to be the case. I believe we can reconcile our need for cost effective, but tailored schools through standardised solutions that combine modern, beautiful, bespoke designs with the flexibility and scalability we need to deliver world class education, now and in the future. Did you know? Standardised school design in the UK dates back to 1872 and was part of our response to the introduction of compulsory education in 1870. Today, the words ‘standardised designs’, combined with reduced budgets, increasingly prescriptive performance criteria and shorter design programmes, still send a chill down the spines of architects. Some critics find the standardised approach inflexible, and feel it could deprive students and teachers of quality environments that support teaching and learning. But at the same time, our need to deliver schools quickly and at lower cost has, if anything, increased since 2010, so how can we make standardised design a welcome, viable solution? 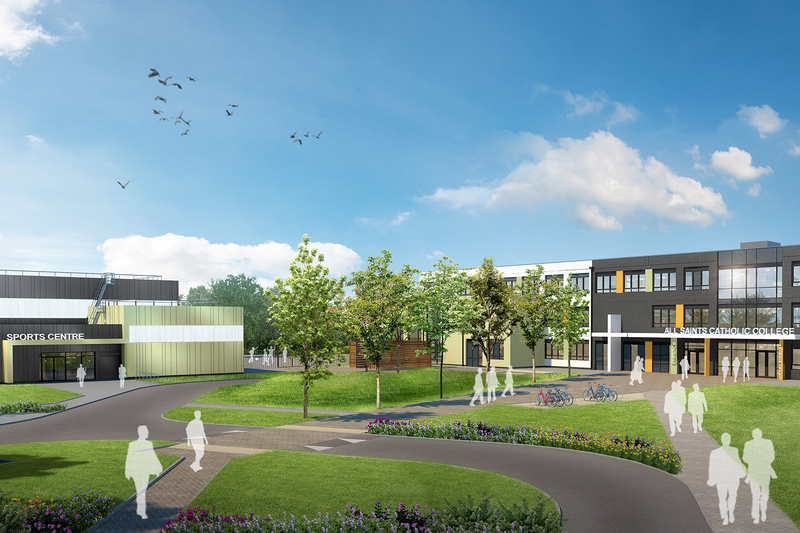 In partnership with Laing O’Rourke, Atkins has developed an approach to standardised design that promotes more efficient schools without compromising on quality. Some examples of where we’ve done this that I’m most proud of are below. Some examples of what can be achieved are illustrated with this article. Lime Tree Primary Academy (main photo) – A creative and bespoke design for a ‘forest’ school with a highly specialised environment that prioritises outdoor learning and direct engagement with nature. 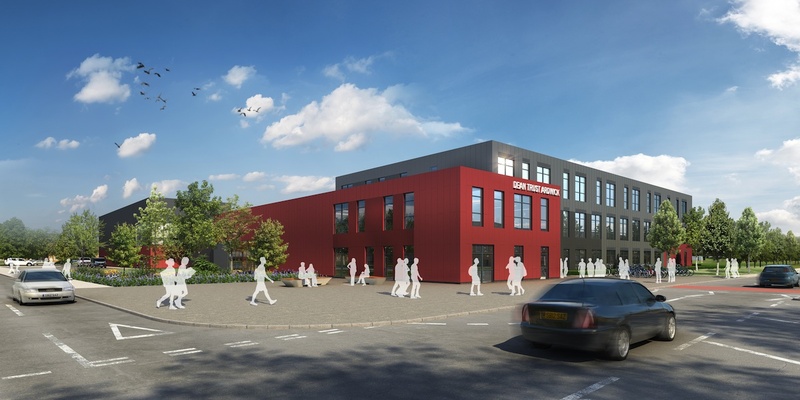 Dean Trust Ardwick – Prototype school characterised by a generous ‘street’ that provides a central focus to the school and distinct ‘fingers’ of accommodation that create identifiable curriculum areas incorporating areas for informal learning and exhibition. Schools like these show that prefabricated technologies can work educationally, socially and environmentally, and will ultimately change how people perceive standardised design. Experiment more to create a greater variety of typologies suited to the increasing range of teaching styles and technologies. The present day education system is still undergoing rapid change and will continue to do so, and standardised solutions need to be able to adapt to this. Find out, from evidence, what contributes to a successful school environment and recycle the lessons learnt back into the design process. All new projects should involve a closer working relationship between designers, educationalists and building users to provide effective, design-led solutions. Working with a wider network of people will always bring unexpected perspectives and ideas. A good example of this is how we worked with local councils and schools to design, in partnership, Harraby Community Campus; read the story here. Create sustainable and comfortable learning environments, reducing the reliance on complicated mechanical and electrical systems, reducing environmental impact and running costs whilst providing a welcoming place for students to learn. Work closely with our construction partners to see how modular systems could be continually improved to better suit each individual site. A high architectural standard on the outside of a school is often perceived as a high quality education on the inside. This article first appeared on Atkins Angles.Read more from the Angles team here. Given a school won the Stirling prize, then that should be added to the "pool" of standard school types. I'm quite frustrated when I see the long procurement for schools involving far too many stages and consultants. The buildings should be a high quality build but prefabricated and repeated around the country. Great school designs should be rebuilt again and again. Submitted by Roger on 9 Nov 2015.